A 33-year-old woman got drunk and assaulted a police officer. 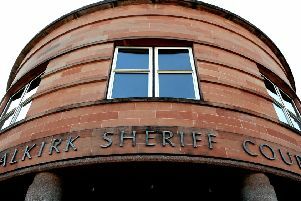 At Falkirk Sheriff Court last Thursday, Victoria Fotheringham, 35 Almond Street, Grangemouth, was placed on a 12 month supervised community order and told to complete 100 hours unpaid work in four months. heriff Craig Caldwell warned her the sentence is a direct alternative to jail.